The current government has taken a reckless approach to one of the greatest challenges of our time. Despite the fact that the impacts of climate change have become increasingly obvious, the government has failed to take this crisis seriously. What follows lays out the government’s record on climate change over the past five years. The current government provides over $1.3 billion in handouts to the oil industry every year, despite calls to end these subsidies from within the Department of Finance, former Environment Minister Jim Prentice, hundreds of organizations across Canada and major international organizations like the IMF and the OECD. The government’s 2011 federal budget proposed the elimination of less than 10% of these special tax breaks to the oil industry. 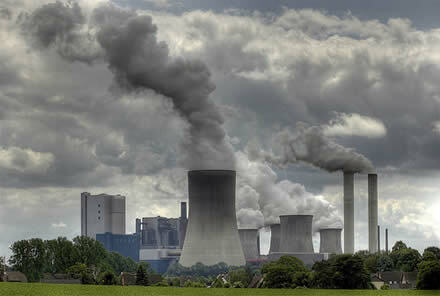 In 2007, the government promised to regulate greenhouse gas pollution from major industrial polluters. Despite the fact that it has repeated this promise on a number of occasions, the government has failed to take any meaningful action. Greenhouse gas pollution from Canada’s coal plants, tar sands producers, and other industries remains unregulated by the federal government. The one exception is the regulations on vehicle fuel efficiency that the government adopted in 2010. However, analysis shows that these regulations are essentially business as usual for the automotive sector. More information on vehicle regulations. Canada’s only major federal program to support renewable energy died in March 2011 when the federal budget failed to renew it. While the 2011 budget did propose a one-year renewal of the popular home energy retrofit program, the current government does not have a medium term plan for supporting renewable energy and efficiency, the overall funding trend is clearly on the decline. Canada is falling behind in the clean energy economy. If you compare President Obama’s 2010 federal budget request to Canada’s 2010 budget, federal investment in renewable energy is 18 times higher per capita in the U.S. In 2010, in an unprecedented and undemocratic show of disrespect for the will of Parliament, Conservative Senators killed the only piece of climate change legislation under consideration in Parliament without even bothering to debate the bill. The Climate Change Accountability Act (Bill C-311) called for the government to establish five-year plans outlining how it intended to meet its greenhouse gas reduction targets. The bill had been passed by a majority of MPs in the House of Commons. It is very rare for the Senate to defeat a bill that has been passed by the House of Commons. When this has happened in the past it has only been done on the “third reading of the bill,” after committee hearings and proper debate in the Senate has taken place. The decision by Conservative Senators to kill the bill without even bothering to debate it or study it in committee was unprecedented. For the past four years, the Government of Canada has been awarded the ‘Fossil of the Year’ at the United Nations climate change negotiations. This award is given by Climate Action Network International, a global coalition of more than 400 organizations, to the country that has maintained the worst negotiating position at the global climate change talks. Canada is also the only country in the world to have signed and ratified the Kyoto Protocol and then openly announced that it has no intention of honoring its commitments. The current government committed $400 million last year to help poorer countries adapt to climate change and reduce their own greenhouse gas pollution. This amount does represent Canada’s ‘fair share’ of the global total agreed to at the Copenhagen climate summit, but there were a number of problems with where this money came from and how it is being administered. The money was taken out of the existing budget for international aid, instead of being ‘new and additional’ as required by the Copenhagen Accord. In addition to the money not being above and beyond what Canada was doing anyway, a disproportionate share of this money is only available in the form of loans. The world’s poorest are dealing with a problem they did little to create, and they should have access to grants to help them prepare for the worst impacts of climate change. The current government has established an “Oil Sands Advocacy Strategy” in the Department of Foreign Affairs and federal officials are systematically working to weaken clean energy and climate change policies in other countries in order to promote the interests of oil companies. At least three specific cases have already been identified (California’s low-carbon fuel standard, a U.S. federal clean fuels policy known as Section 526, and the European Union’s Fuel Quality Directive), though there is reason to believe that this is only the tip of the iceberg and that the government is also attacking clean energy policies in other jurisdictions. Scientists are speaking out about the government’s ongoing attempts to muzzle their efforts to speak publically and freely about their research on climate change. At the same time, the Canadian Foundation for Climate and Atmospheric Sciences, the main funding body for university-based climate research in Canada, has effectively run out of money. This entry was posted in Climate Change, Energy, Tar Sands, Their Governments. Bookmark the permalink.